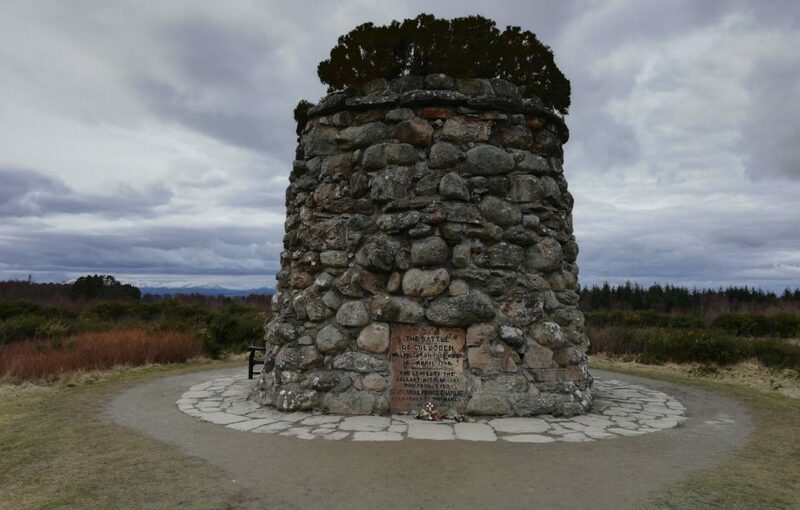 Culloden Memorial Cairn, erected in 1881 by Duncan Forbes of Culloden, who also set up the headstones in previous pictures. 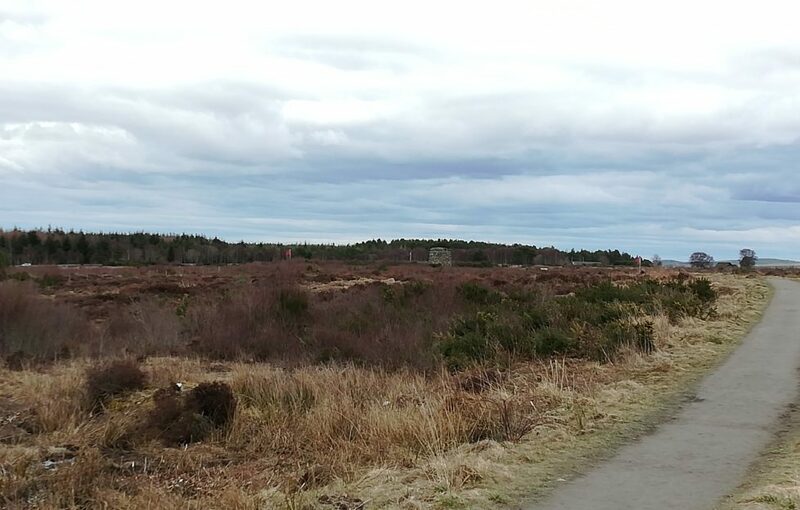 I had walked the windswept paths of Culloden Moor a few times, but it never gets easier. Anyone who has been to the site of the bloody battle will know what I mean when I say that the air is heavy with memory. 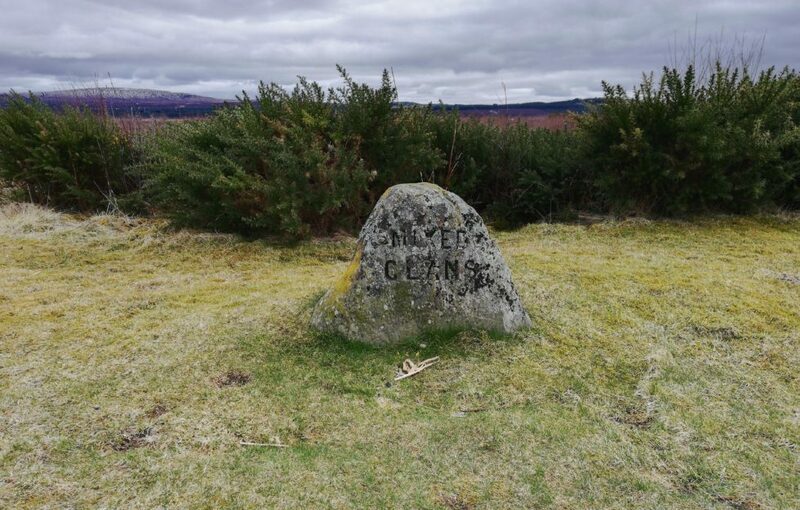 On April 16, 1746, the final Jacobite battle was fought here between forces loyal to Prince Charles Stuart, and government troops of King George II. The conflict was a decisive victory for the government troops, and ended the Jacobite rising. 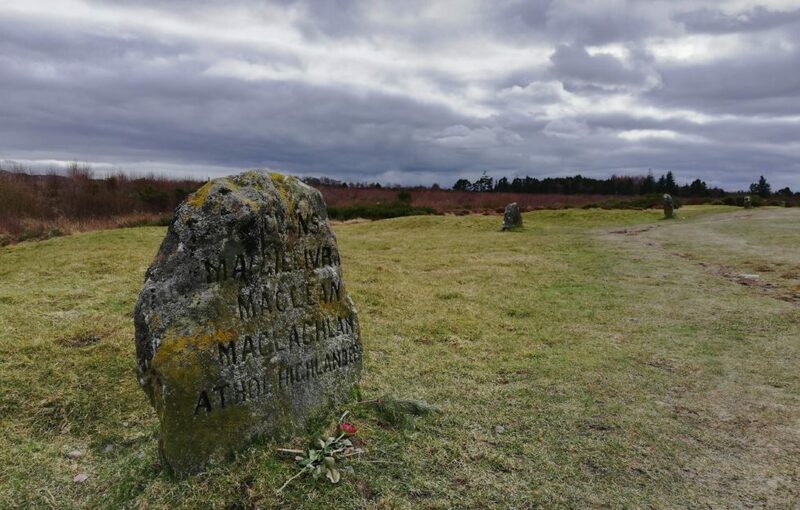 The quick and bloody battle was over in less than an hour with 1,500–2,000 Jacobite troops killed or wounded. Of the 8,000 government soldiers only 300 were killed. It was to be the last pitched battle fought on British soil, but the effects would be felt for years to come. 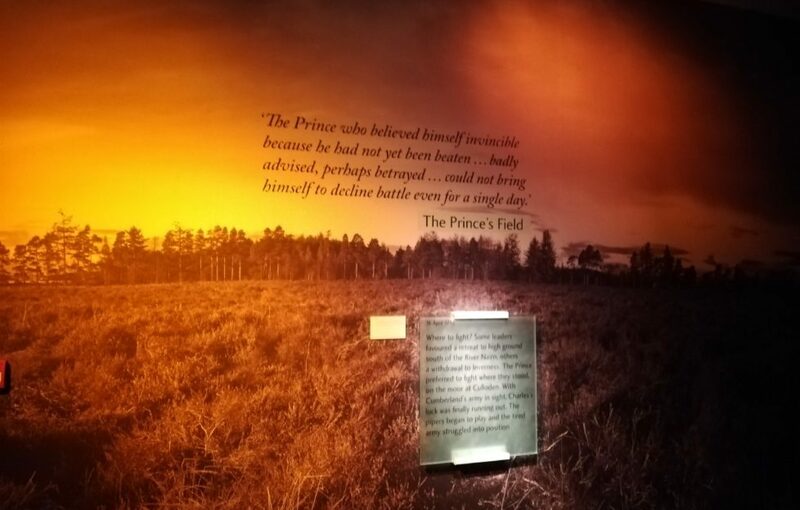 Take a look through the gallery from our visit, and find out more about the battle and aftermath in David’s live Periscope video below. 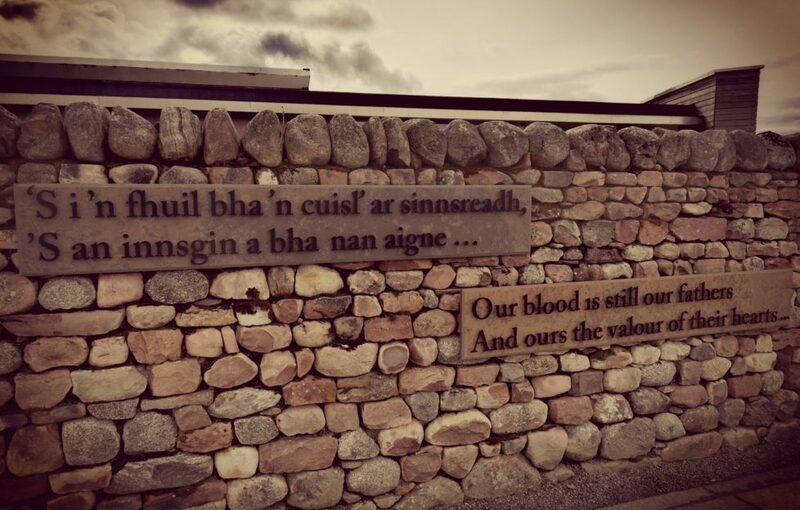 The haunting inscription as you make your way into the NTS Centre. 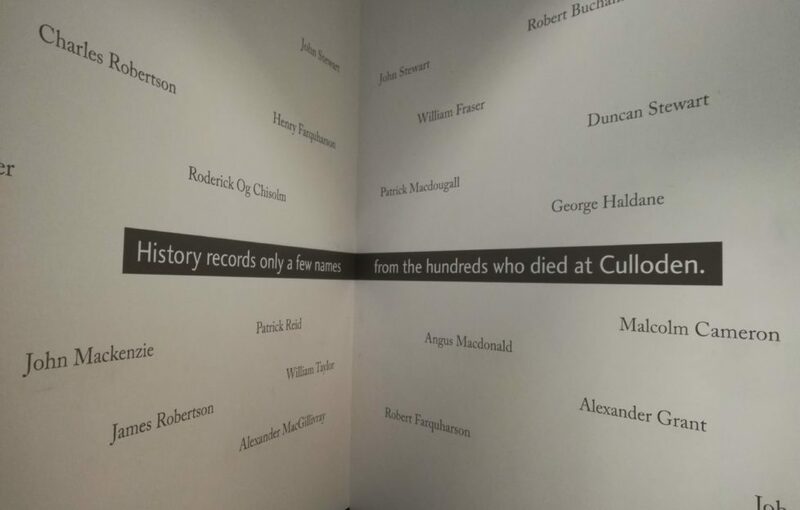 The walkway to the visitor centre is lined with mentions from those who contributed to its refurbishment. 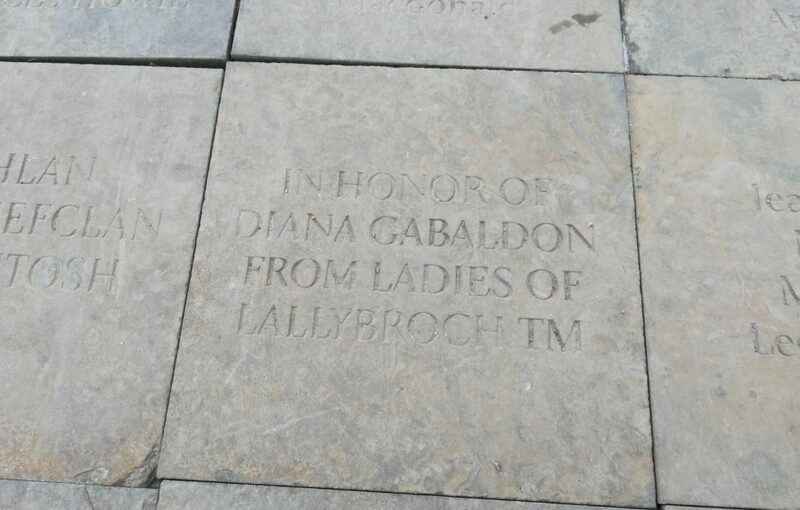 Here, the Ladies of Lallybroch (TM) pay tribute to Diana Gabaldon. 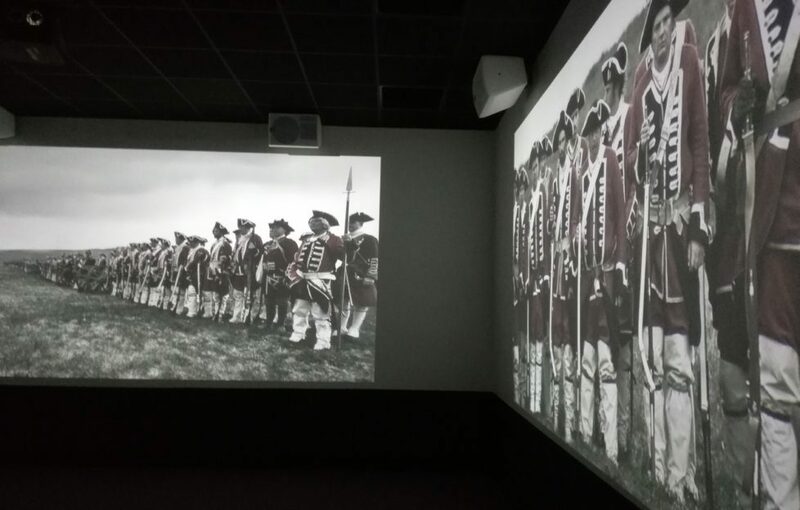 The exhibition is fascinating – and well worth a visit. Memorials grave stones mark where the clans were buried. 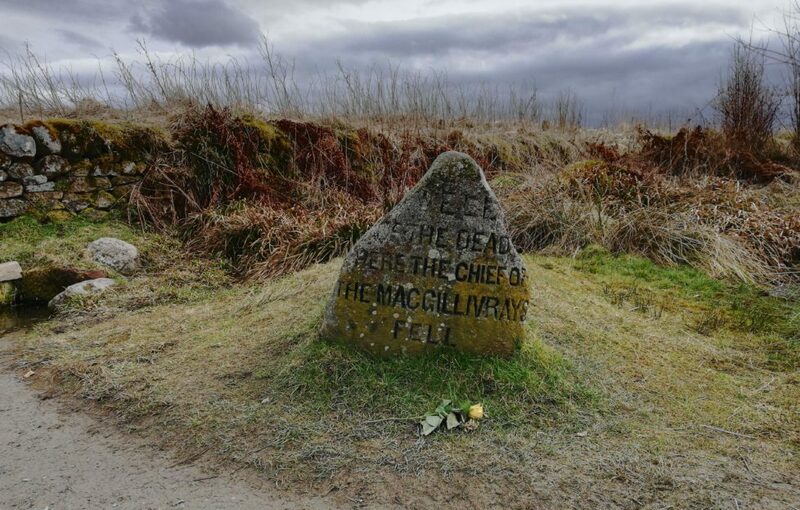 “Mixed clans” – the names of many who fought on the Jacobite side are lost to this day. 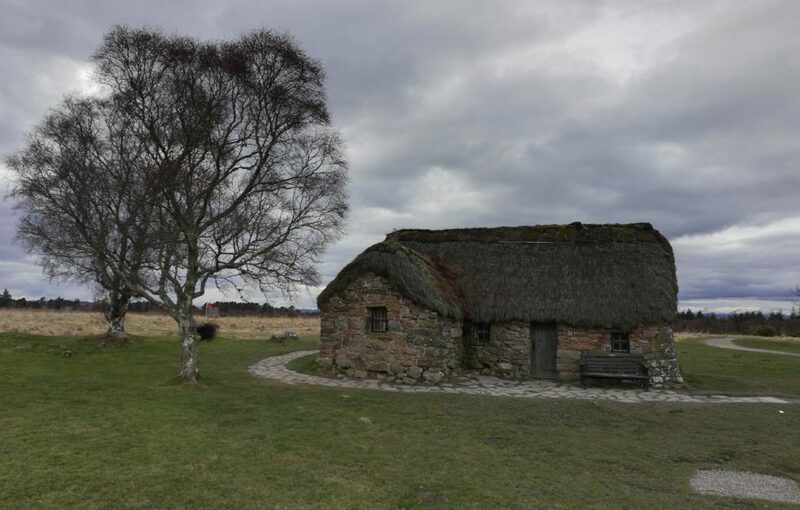 Leanach cottage, which stood between government lines. it was likely used as a field hospital for government men. This picture was taken from Bonnie Prince Charlie’s position overlooking the battlefield. 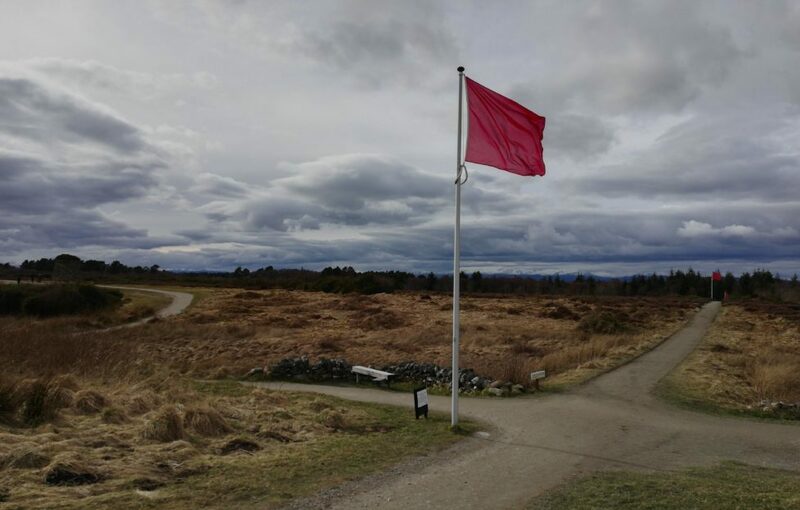 The red flags in the distance march the government army’s position. 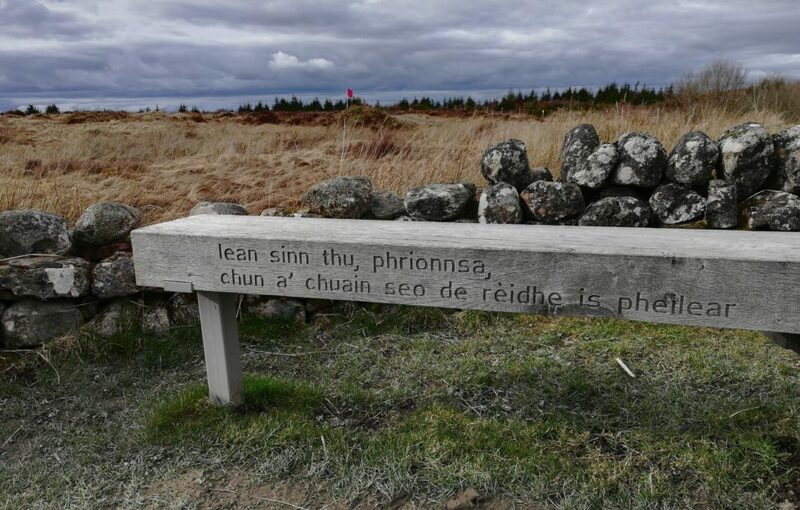 Over the hundreds of years since the battle the land has been drained by farmers and planted with trees, but National Trust for Scotland are slowly turning the land back into the landscape the fighting armies walked on. 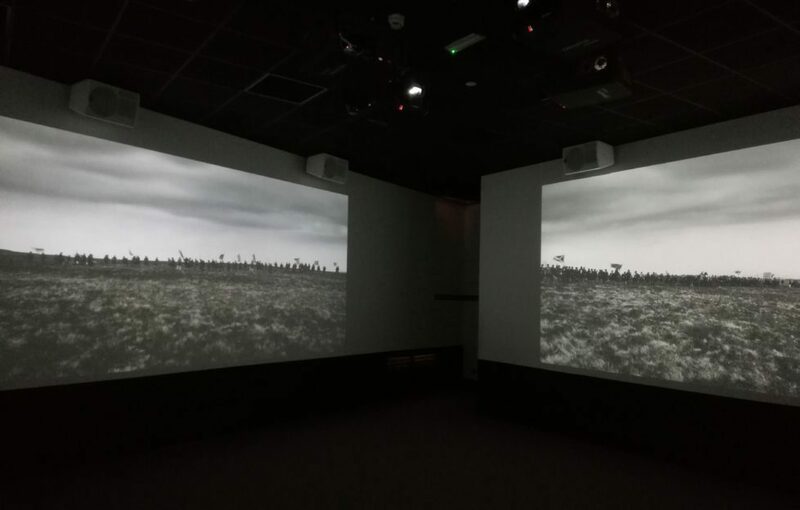 The trust looks after the site and the Visitor Centre, which has recently been upgraded to include an immersive cinema experience. Click here for visiting information.